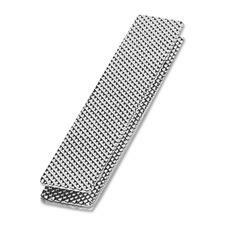 Extra strong and secure, the magnetic fastener is ideal choice for all badges. No more holes in your clothes, no more pins or clips that can prick your fingers. The magnetic badge fastener works with all types of fabrics and will keep your badge in place until you take it off. The contemporary Colorful Chalkboard theme is sure to be a hit in your classroom. This 40-piece bulletin board set includes: one birthday chart, one calendar, one incentive chart, one all-purpose chart and 35 calendar cover-ups (2-1/2" x 2") and one door label (8-7/8" x 17"). All charts measure 17" x 24". Look for coordinating products in this color palette design to create an exciting, cohesive classroom theme. Set is designed for pre-kindergarten through fifth-grade. Vibrant, contemporary design creates warm, inviting spaces; tickles imaginations and brings learning to life with these Sparkle Terrific Trimmers. Layer patterns on solids, sparkles or metallics. Or use as-is to showcase student work in style, make funky crowns and bookmarks, engage and delight. 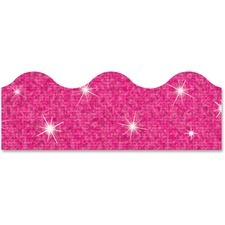 Scalloped borders are the perfect finishing touch for whiteboards, reward charts, calendars or any display. Durable borders are reusable. Decorate your room in a snap with these magnetic letters. Neon colors add flair to your room and can be coordinated with similar products for a creative classroom theme. Strong, durable construction prevents being damaged from regular use to provide a lasting display. 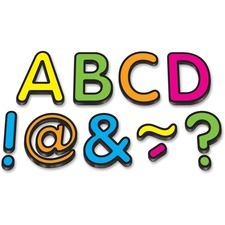 Letters are perfect for use on doors, desks, shelving, bins and more. Add eye-catching flair to bulletin boards, doors and common areas with this fascinating Herringbone pattern. Mix and match with multiple Herringbone borders of different colors or ones from Designer Decor Collections to create a special pop. You can layer solid and patterned borders to make your bulletin boards really stand out. 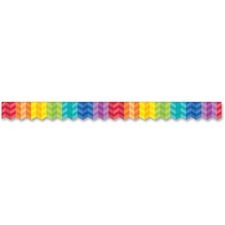 You can also use the colorful Herringbone border with other Painted Palette products from Creative Teaching Press. Number and function pieces help children visualize your basic math lessons. Built-in magnet sticks to magnetic surfaces for versatile display options. Durable construction resists damage for long-lasting use. 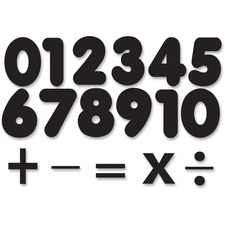 Set includes numbers 0 to 10, addition symbol, subtraction symbol, equal symbol, multiplication symbol and division symbol. Protect against identity theft with a card sleeve that blocks radio frequency identification (RFID). Secure personal credit, debit and business ID card information by shielding from unauthorized and unknown access. 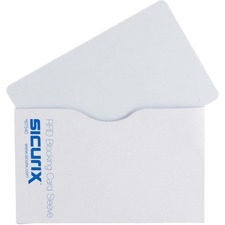 Smart Card RFID-blocking Sleeve includes water-vapor barrier for long life. Horizontal design fits easily in wallets. Maximum insert size is 3-3/8" x 2-1/8" (86 x 54mm). Whiteboard cleaning wipes caddy keeps board wipes readily on hand and is more convenient than spray cleaner. Wipes retain moisture when dispenser lid is closed. Comes prefilled with 20 wipes. 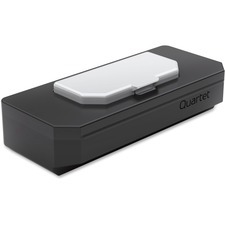 Fits the tray of a Quartet® Prestige® 2 Whiteboard. Invite children to enjoy hands-on learning with this colorful, reusable set. 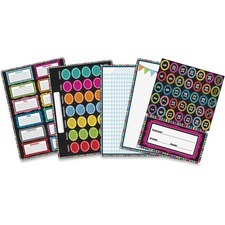 Included 17" x 22" reusable calendar offers an erasable surface for writing, erasing and rewriting. 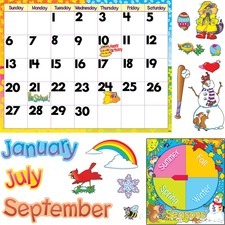 Wipe-Off Monthly Calendar Bulletin Board Set includes strips for Yesterday was, Today is, Tomorrow will be; 12 month headers; seasons spinner; weather spinner; three arrows; 33 seasonal accents; 31 cling date markers; and 19 cling special day markers. Included Discovery Guide offers creative activities that teach and delight.